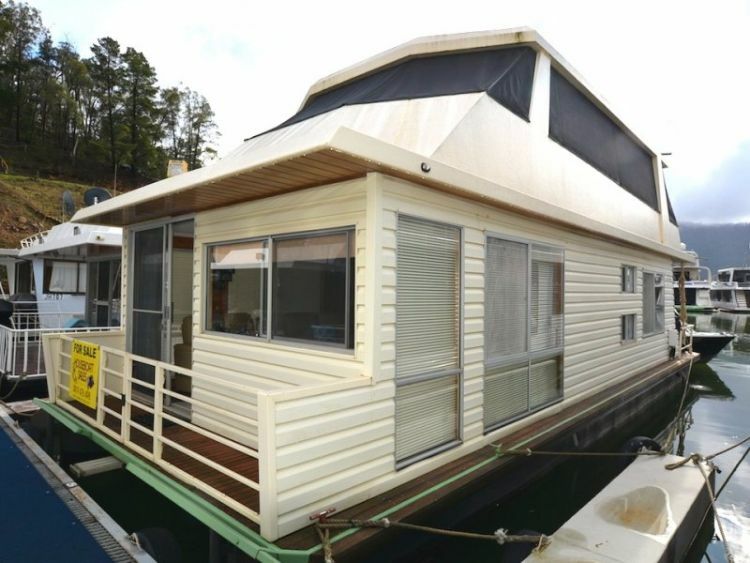 When you revitalize a houseboat and bestow it with modern amenities, you are bound to feel like your greatest fantasies are about to come true. 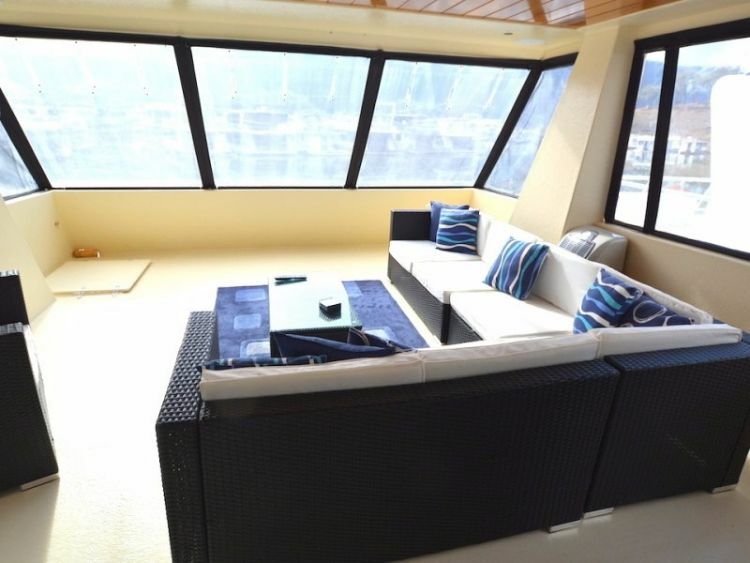 The aptly named Wildest Dreams floating home stays true to this idea. 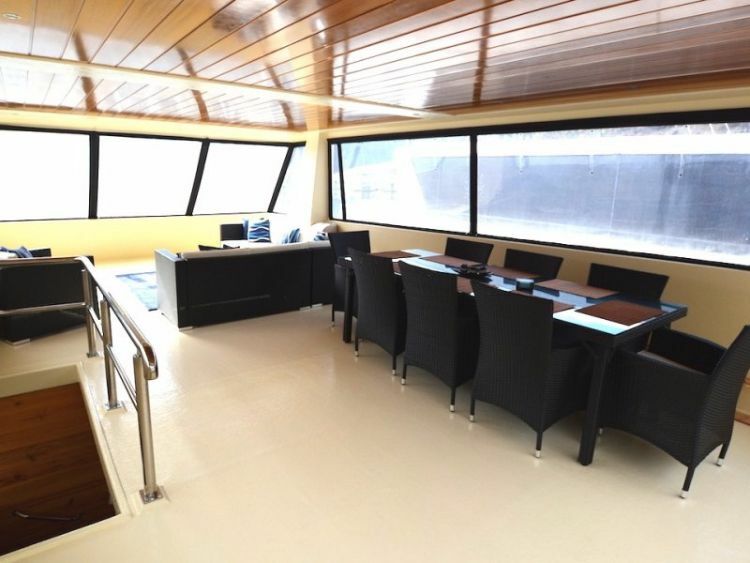 Originally built in 1980, the vessel has been cared for and embellished over the years - even receiving a full pontoon makeover in 2007. While she's quietly biding her time, waiting for a new owner to take her on a new adventure, we can pay our tributes to her crafty construction. 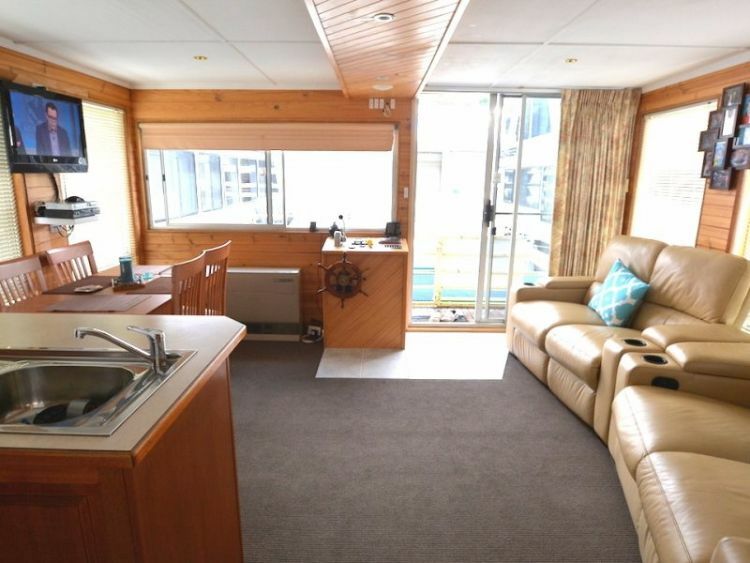 Creamy timber exteriors enrich the vessel's homey demeanor. 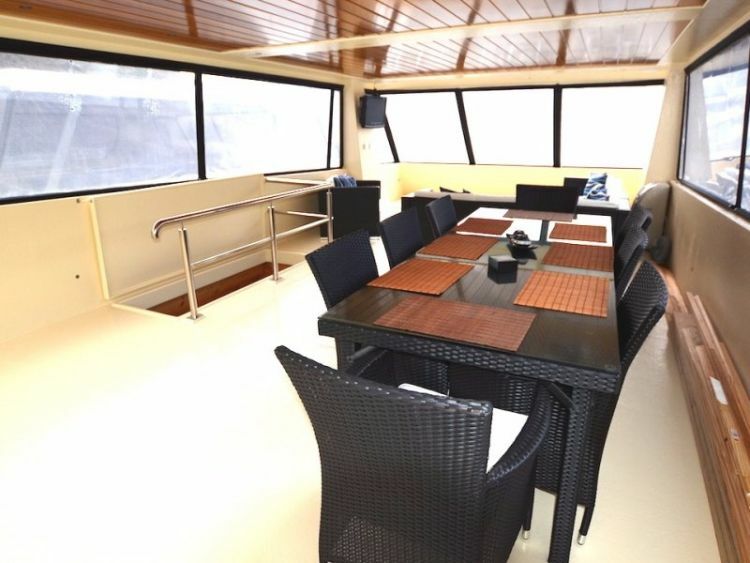 The outer deck is modest for a reason - but we're not ones to spoil a surprise. Keep following us along, you'll understand soon enough. Sliding doors invite us to enter a lustrous open-plan living area with graceful features all-around. Along with cedar-lined walls and cabinetry, a leather suite will ensure your stay is comfortable and stylish. 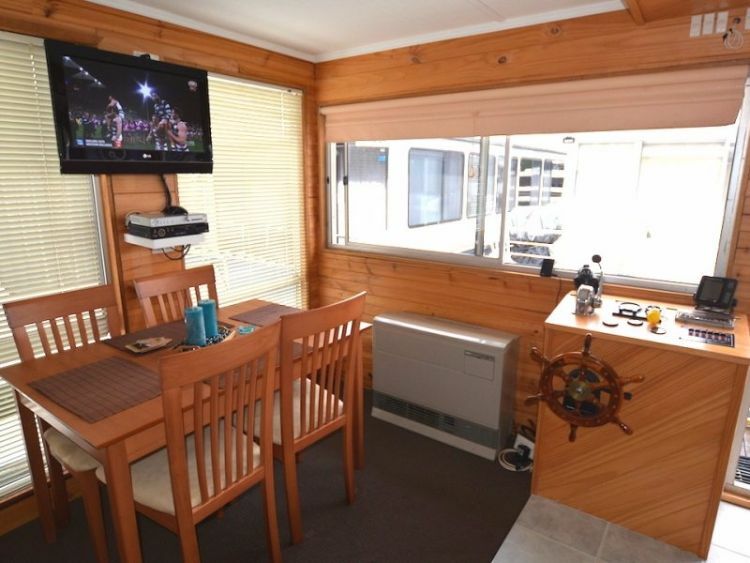 Whether you want to watch some TV, or you're getting set for a family dinner, definitely take some time to appreciate the nautical elements nearby. Views of the marina are always a given, even as you venture along the kitchen. Proving that less is more when it comes to decor, the kitchen makes a statement with a plant demurely hanging on its walls. Continue moving straight ahead to find a bedroom tucked away in its own private corner. 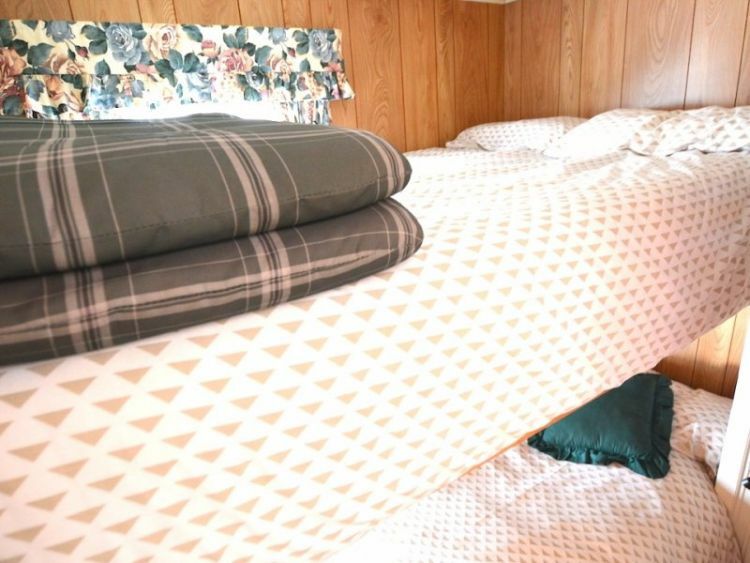 The first of two, this bedroom is fitted with large bunk beds and underbed storage. 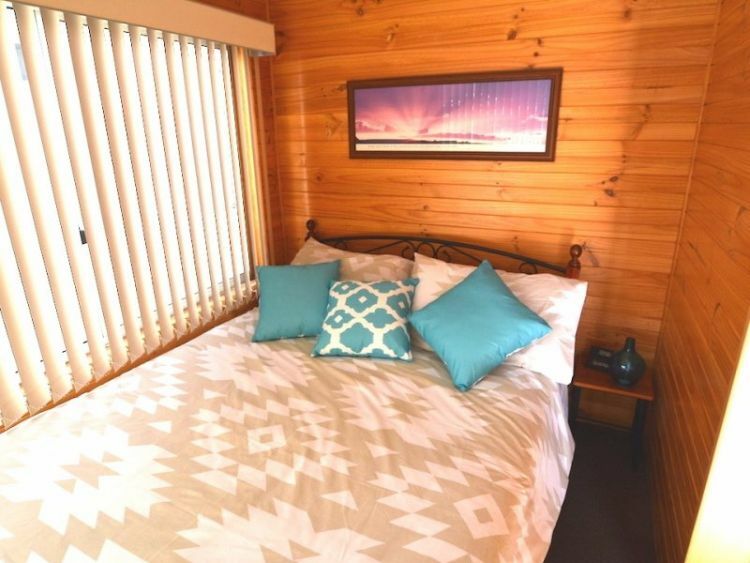 The second has a double bed and exposure to stunning sunsets inside and out. 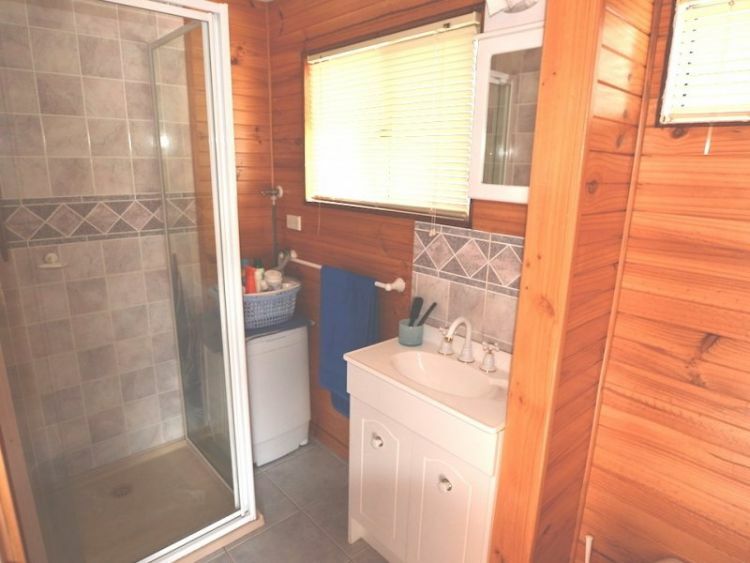 The bathroom blends the prevailing wooden themes with tiling and patterns exclusive to this area. Now we get to the encased upper deck - and the reason why its outer counterpart is more temperate by design. 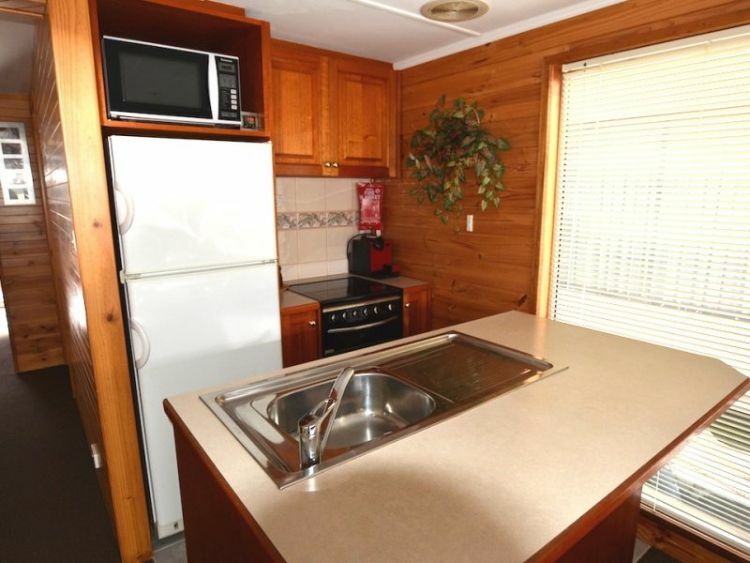 After all, why would anyone want to try and upstage such an elegant entertaining spot? 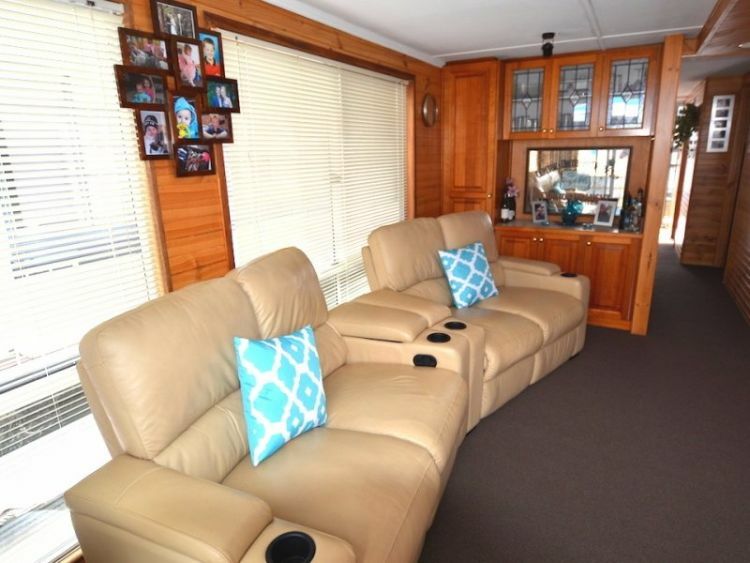 While the downstairs living area is best for four people, this area brings double the fun. Here, you will find a stunning table that sits up to eight guests. An exquisite couch gives visitors the full VIP treatment. 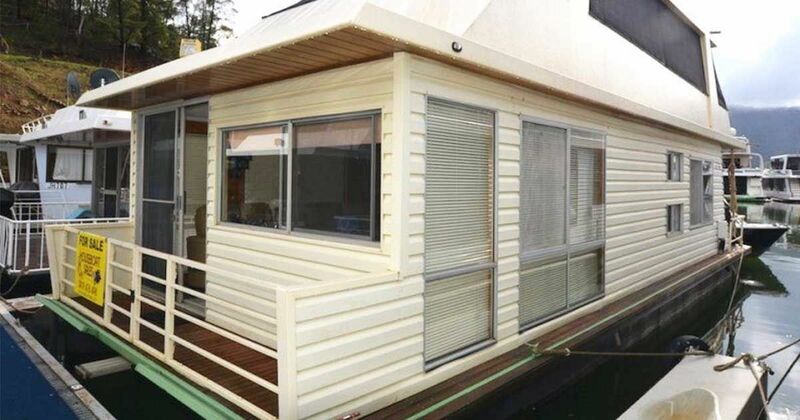 If your Wildest Dreams involve a luxurious Australian floating home, this houseboat is the choice for you. Whether you want to relax by the lakeside with your family, or you'd like to add a buoyant twist to your celebrations, this is the vessel that will fulfill all your wishes.